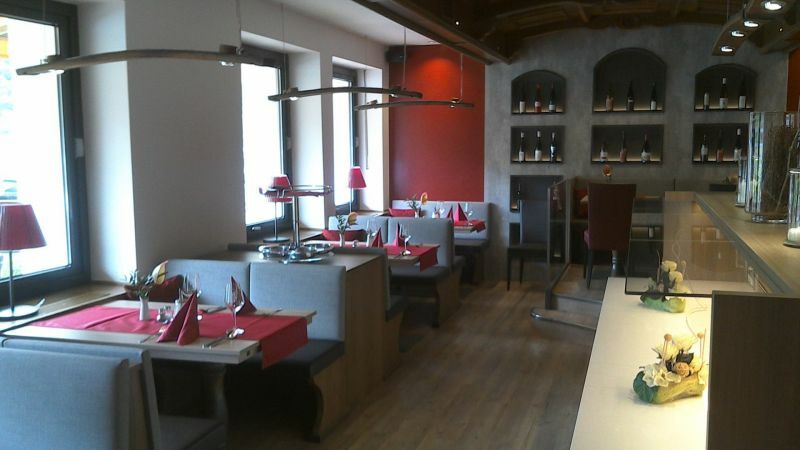 We are looking forward to accomadating you as our guest in the restaurant of the Hotel Lamm. From 6 pm we will recommend you our evening menu with the daily specialities. Beef fillet "Cafe de Rüdesheim", directly prepared at your table is only one example of the culinary highlights we offer you. 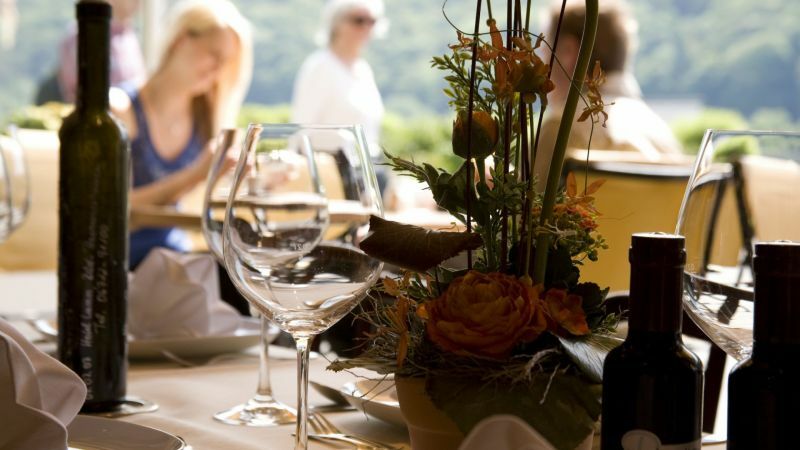 In our wine menu you can find extraordinary regional wines from the Rheingau from world famous areas, such as the Assmannshäuser Höllenberg or the Rüdesheimer Berg Schloßberg, that shall accompany perfectly your dinner. 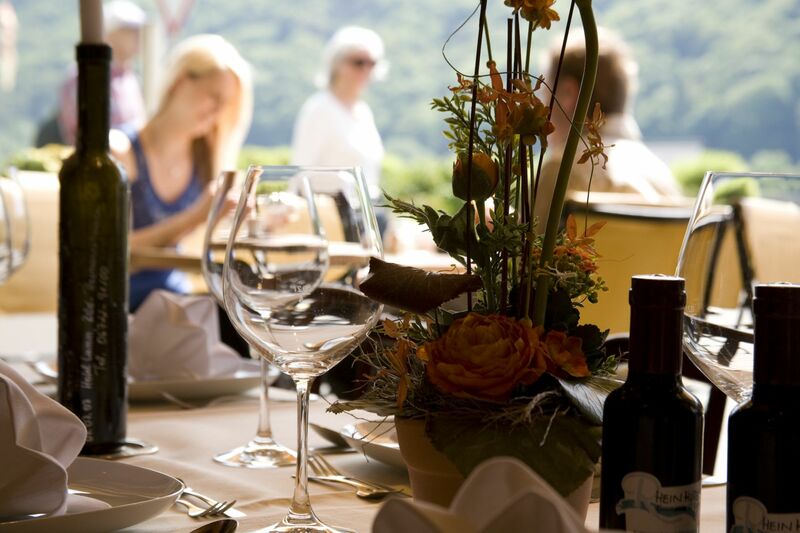 Relax among friends or family in a pleasant atmosphere whilst enjoying a good meal and a delicious wine from the Rheingau. Experience the throbbing atmosphere at the Rhine. 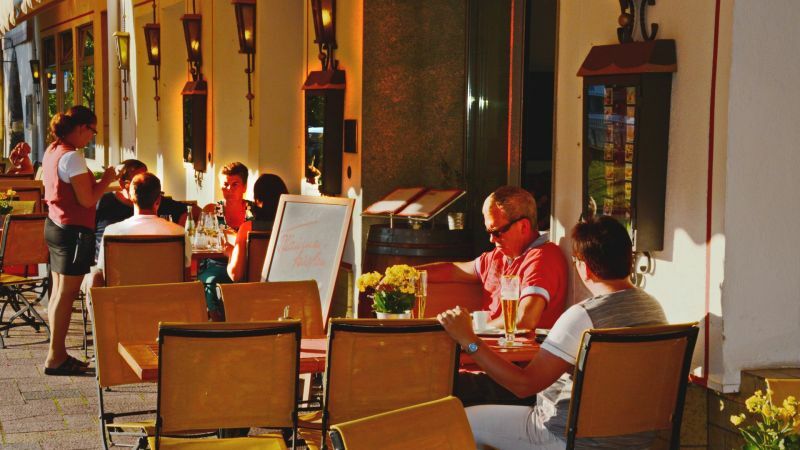 Relax at mediterranean temperatures at our Rhine terrace. Enjoy the beautiful landscape of the Middle Rhine valley and piece of cake and a cup of coffee. Another option would be to savour one of our sundaes or a regional or seasonal highlight of our regular menu.